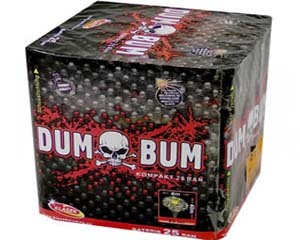 The Dum Bum 25 shot is quickly growing a reputation as the loudest firework available in the UK – bar none. 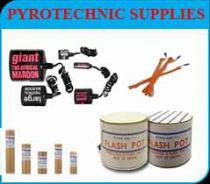 From Klasek Fireworks, this is an awesome firework that must be heard to believed. This cake produces 25 shots of pure trouser shaking, earth shattering titanium salutes! Get them while you can! This 25 shot pure noise battery will remind you of fireworks before the de-regulation, except this is so much louder than anything we've sold before, we will sell out and you will fall out with your neighbours!!! Be warned. Basically an air bomb cake, it has been designed for one purpose – noise. 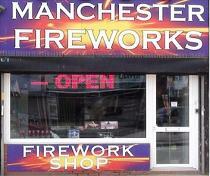 We at Manchester Fireworks are certainly confident in saying that this is easily the loudest firework that we’ve ever had in stock. Whilst you won’t quite get a complete idea of quite how loud the Dum Bum is until you hear it in person, you can watch a preview of the firework in the video below.